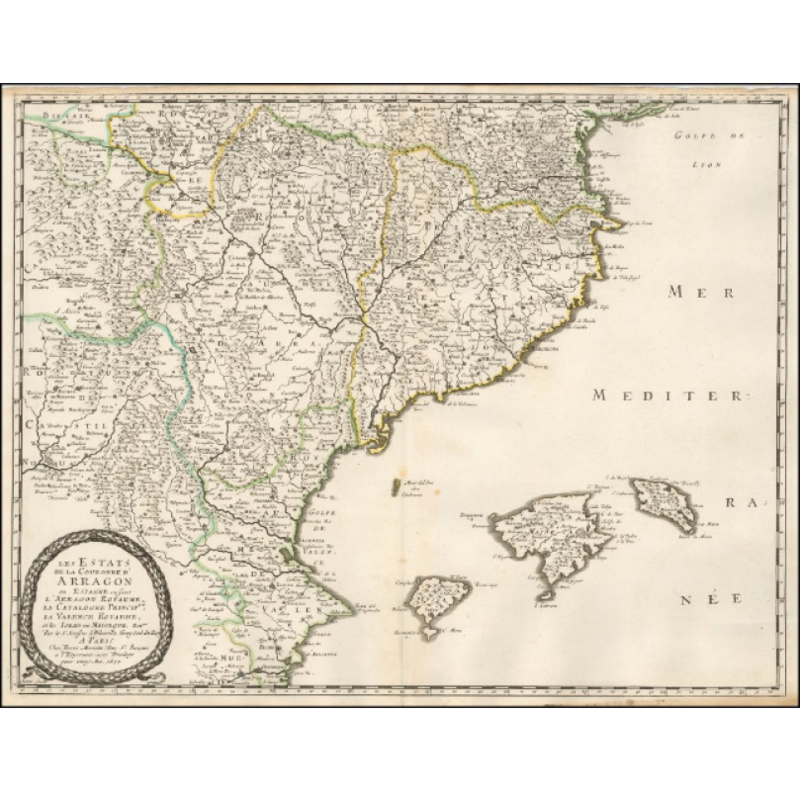 Description Nice example of Sanon's map of northeastern Spain and the Balearic Islands. The map extends to Majorca, Minorca and Ibiza and includes a large decorative cartouche. 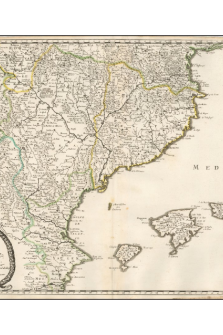 Reference Nicolas Sanson Biography Nicholas Sanson (1600-1667) is considered the father of French cartography in its golden age from the mid-seventeenth century to the mid-eighteenth. Over the course of his career he produced over 300 maps. His success can be chalked up to his geographic and research skills, but also to his partnership with Pierre Mariette. Previously, Sanson had worked primarily with the publisher Melchior Tavernier. Mariette purchased Tavernier s business in 1644. Sanson worked with Mariette until 1657, when the latter died. Mariette s son, also Pierre, helped to publish the Cartes générales de toutes les parties du monde. Nicolas Sanson, cartographer to the King of France Cartes Generales de Toutes les Parties du Monde Date of issue Paris, 1653 [1664-1666] Size of paper approx. 42 x 53 cm copperplate engraving with hand coloring (unknown age of coloring) Condition notes Very Good/Excellent Outline color.